“Wine is made in the vineyards, not in the winery”; this has always been the saying here at Lungarotti. The first thing one sees upon arriving in Torgiano is a vast expanse of vineyards that seem to reach as far as Assisi and Perugia. 230 hectares in Torgiano and 20 in Montefalco: these are the vineyards that we proudly present to all our visitors upon their arrival, because that is where everything begins. 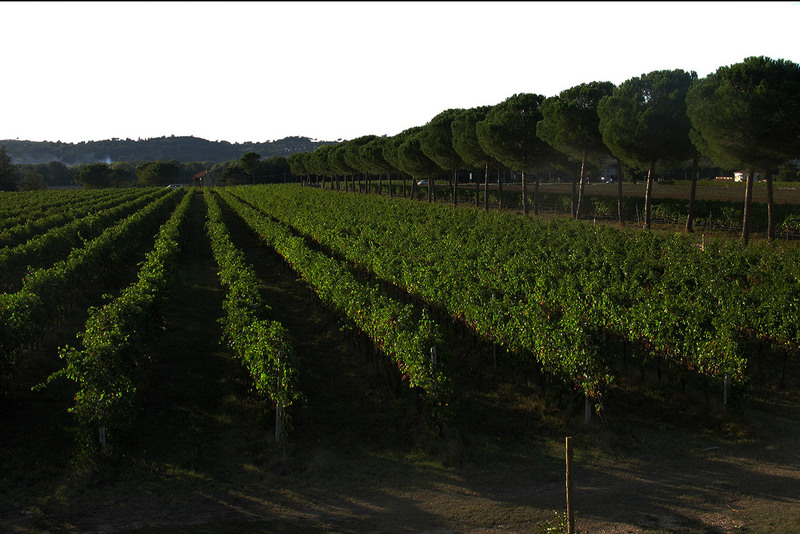 Vigna Monticchio and Vigna il Pino are just two of the vineyards that have given their names to our wines. Walking along the rows, one can discover the operations carried out each day by our technical team with great passion. To optimize all the factors from the growing season and obtain the best possible results from the harvest, it is necessary that our enologist, Vincenzo Pepe, and our agronomist Attilio Persia coordinate their tasks with great care and attention. A vineyard experience rounds out the winery tour; last but not least, a tasting of our wines enables guests to better understand the characteristics of both the territory and the people of Umbria. You can also learn about native herbs and the wild animals that live among our vineyards, how to read the landscape and how to photograph it. Share the experience with family or friends, enjoy special moments of tranquility in a pristine environment and discover the enjoyment of life in the Umbrian countryside. Here at Lungarotti, we have always liked to consider the winery as an ideal place to spend family time while learning about the excellence produced in our region. The tour of the cellars can be an interesting learning experience for everyone: adults, children, families and schools. After the tour, the younger set can have fun colouring and reading the educational material prepared especially for them. We welcome school groups here at the Winery: together with the agronomist and enologist, they can discover the secrets for a good harvest and a good wine. An experience in the vineyards and cellars will not only be a pleasant memory when youngsters become adults: it will also be an opportunity to learn about the importance of responsible enjoyment of wine. For an all-round cultural experience, the winery tour is often paired with the guided tour of the Wine Museum and the Olive and Oil Museum, unique collections renowned world-wide for discovering the ancient history of these two treasures from our land.